The Duchess of Cambridge has had a busy few days of royal engagements -- one of which involved a brand-new pair of earrings! Here's a look at the jewelry she's worn this week. On Sunday, William, Kate, and Harry participated in a London Marathon Training Day at the Queen Elizabeth II Olympic Park in support of one of their charitable endeavors, Heads Together. 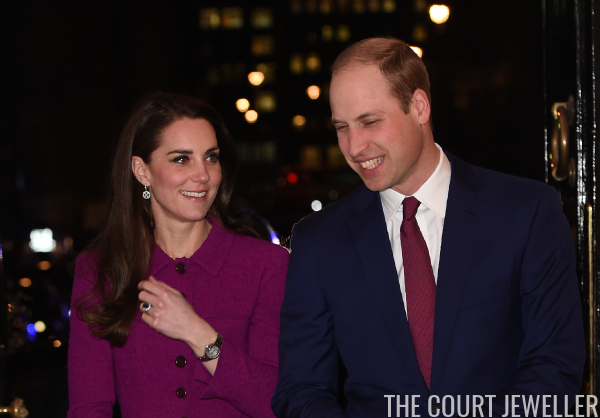 For an engagement that involved athletics, Kate sensibly chose simple jewelry: a new pair of diamond and sapphire disk stud earrings from Asprey. 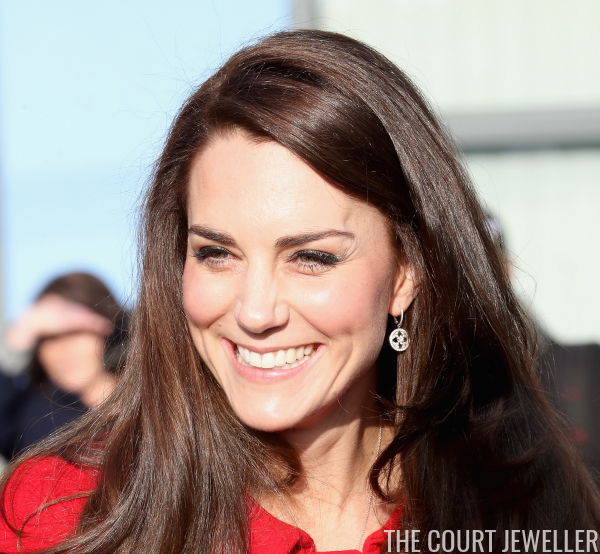 She has previously worn a pendant that coordinates with these earrings. 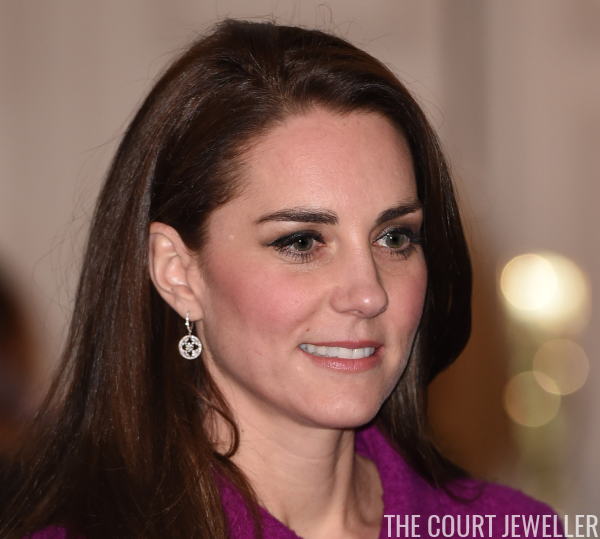 Kate chose a familiar pair of earrings for Monday's Place2Be Big Assembly in London: her Mappin and Webb Empress earrings. 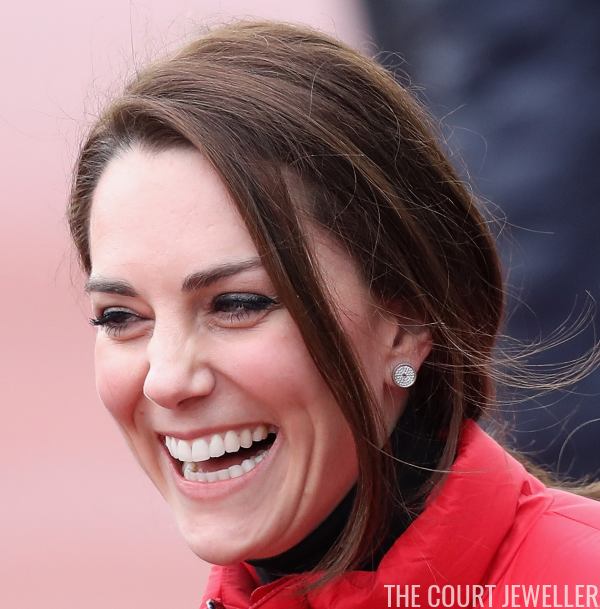 A thin silver chain is also visible around Kate's neck, so I think she may have also worn the coordinating pendant on under her red jacket.